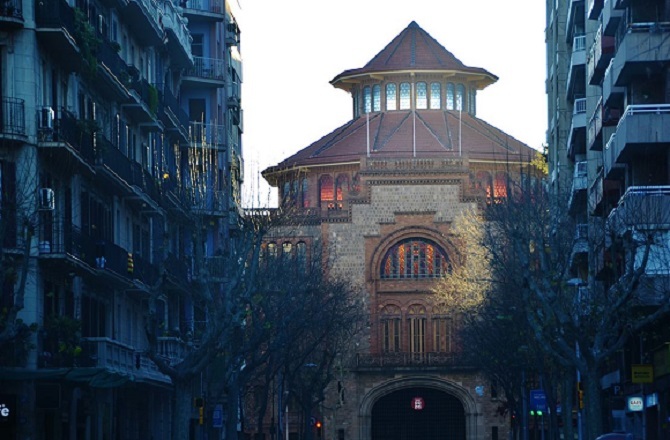 If there is a district that summarizes perfectly the architectural character of Barcelona, with a more traditional side, it is unmistakably the Eixample district, and within this district, the neighborhood “Eixample Esquerra”. 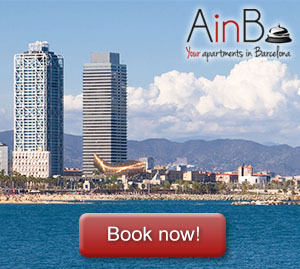 Below you’ll find the reasons that explain why this neighborhood is the perfect place to feel the spirit of the city from your apartments while you never lose sight of the charms of the monumental Barcelona. Right in the middle of these three axes we find the picturesque neighborhood of Eixample Esquerra. A neighborhood that can be lived both from the inside and on the street level. It is the cradle of modernism: artistic current of Barcelona that makes it so famous and can be seen in each of the façades of its buildings. It is the perfect neighborhood if we want to sightsee: since it’s located in the center of the three axes of major tourist importance, it is the best place to stay without losing barely any time on public transport. It’s perfectly communicated: you can choose if you want to walk along charming streets, such as Enric Granados or the wide sidewalks of the Diagonal or Gran Vía, or if you prefer to take the metro, bus or even train. Large shopping area for shopping lovers: the Eixample blocks are home to a charming neighborhood of shops, and within its borders there are also shopping centers such as the recently renovated Las Arenas. 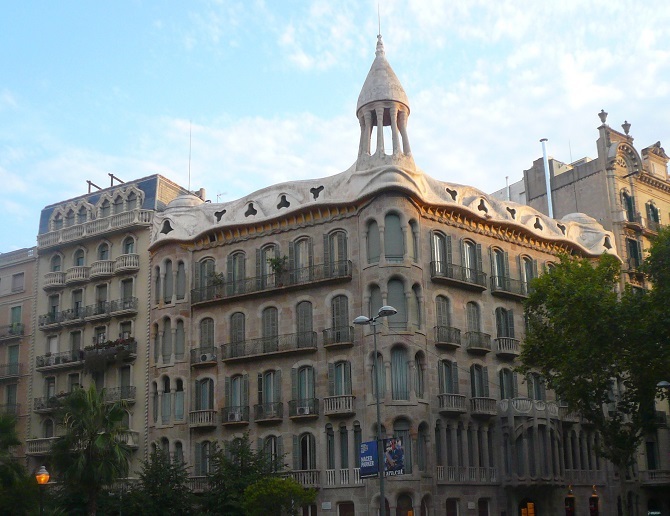 It is the essence of Barcelona’s most typical way of life: the Eixample is the product of the most relevant urban planning organization in Barcelona, and in each of its houses we can appreciate the charm of the distribution that Ildefons Cerdá built: terraces and common areas for the enjoyment of the neighbors. If we want to fully enjoy the most architectural area of Barcelona, it’d be better to rent an apartment in the Gothic neighborhood, for example. If you prefer to stay in the Eixample, an apartment in Calle Entenza, five minutes from Sants station to enjoy Barcelona and its surroundings will be a good option, or an apartment in Eixample Esquerra (Miró Park), right next to the lung of the neighborhood, overlooking Montjuïc and with the imposing and beautiful shopping center Las Arenas three minutes away, will guarantee an experience to live the spirit of the neighborhood. Both apartments are 20 minutes away from the Sagrada Familia, and count with nearby local stores and the best restaurants that offer the real traditional Catalan food. We’d be able to enjoy a barbecue on a typical terrace in Barcelona while enjoying the unbeatable views of the “magic mountain”, as Montjuïc is often called. Park Miró: next to the gates of Montjuïc we find this charming space that recreates a Mediterranean forest and hosts the gigantic colorful sculpture of Miró “Dona i Ocell”. Casa Xina: in the corner between Muntaner and Consell de Cent streets we find this picturesque façade that draws attention for its striking forms, the richness of modernist elements and in general for being worthy of being photographed. Las Arenas Shopping Center: the old bullring of Las Arenas has been converted into a modern shopping center, retaining the original façade to which a dome has been added which offers privileged views of Barcelona in general and Monjuïc in particular. 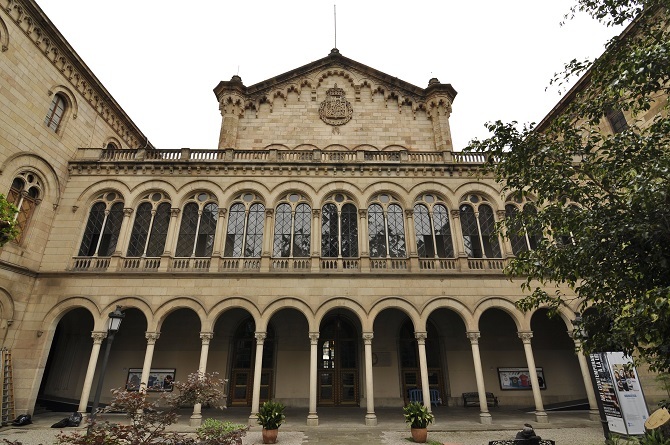 University of Barcelona: at the gates of the historical center of Barcelona we find this building whose interior is as incredible as its regionalist façade. Casa Sayrach: at the end of the beautiful street Enric Granados and overlooking one of the most elegant sections of the Diagonal Avenue, we find this building reminiscent of the style that Gaudí reflected in the Pedrera but with touches that makes it resemble a medieval castle. Old Prison of La Modelo: very close to the station of Sants we find the imposing classic structure of a historic prison that is currently a rehabilitation center for prisoners, and it’s gradually becoming a space for the whole city as gardens. 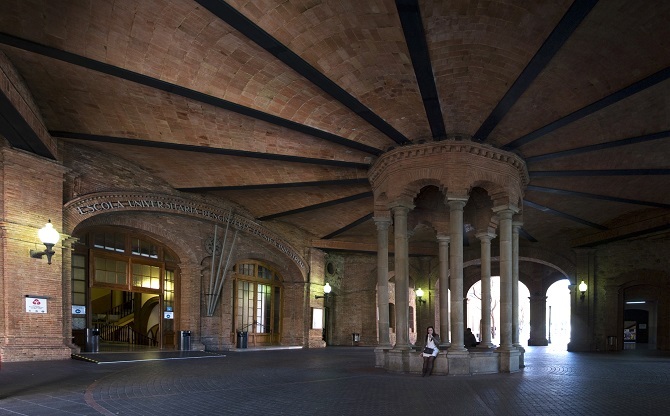 Industrial Engineering University Campus: magnificent complex example of the modernist Barcelona applied to industry and how the industrial legacy of Barcelona has been reconverted for various uses. 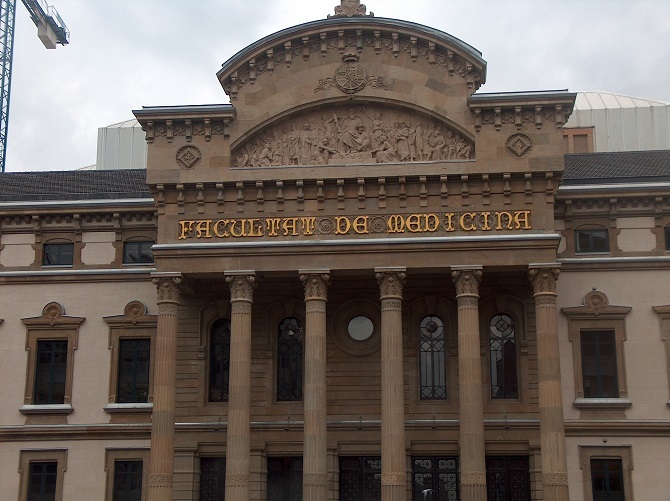 In short, a whole district not only to see the monumental and classic Barcelona, but also a neighborhood that can be experienced both on the sidewalks and the interior of its buildings. Don’t forget to visit it (and enjoy it at its full).